Description: Well maintained desirable END unit townhome located in the Catawba Village neighborhood w/ pool view! This beautiful home will leave you speechless with its open layout, AMAZING natural sunlight and laminate wood flooring downstairs. Upstairs, you'll find carpet in the cozy bedrooms each with separate private bathrooms. Pre-installed ceiling fan in master. Outside, the patio make the perfect place for a private, relaxing sit. Washer and Dryer included. Neighborhood boasts walking trails, pool & pond. Merge onto I-77 S/US-21 S via the ramp to Rock Hill. Entering South Carolina.Take exit 90 toward Carowinds Blvd.Merge onto Carowinds Blvd.Turn left onto Pleasant Rd. Turn right onto Council House Rd.Turn left onto Potter Place Road. Destination will be on the left. Description: Move in Ready!!! Quaint 2 bedroom, 1 bath apartment with hardwood floors. Neutral paint throughout. Description: Amazing 3 bedroom 2.5 bath in the much desired HIGHLAND CREEK neighborhood. Vaulted Ceilings featured in the great room with a gas log fireplace and surround sound! Hardwood flooring in the formal dining room. Open kitchen with stainless steel appliances and ceramic tile flooring. Breakfast nook right off the kitchen. A spacious master bedroom with a huge walk-in closet and a private bathroom with a deep soaking tub, and separate shower. Fenced in Backyard with a deck. No pets. A DEFINITE MUST SEE!!! I-85 N to exit 49, Left on Speedway Blvd/Concord Mills Blvd, Left on Derita Rd, Right on "Christenbury Pkwy, At Christenbury" Left on Highland Creek Pkwy, Left on Downfield Wood Dr, Left on Lady Bank Drive. Description: Hard to find, ranch home with open concept and split bedroom floorplan. Great room with vaulted ceiling and fireplace. Kitchen has stainless steel appliances, dining area open to kitchen and great room for easy entertaining. You can also access the backyard from the dining area, great for summertime cookouts. Owner's suite with vaulted ceiling and big walk-in closet. Spacious secondary bedrooms. Large, fenced backyard with mature trees. One car attached garage. Incredible location- short drive to I-485 and Providence Road for shopping at Promenade on Providence (grocery, dining, shopping and more). I-485 to Exit 57 for NC 16/Providence Rd toward Weddington, Use left 2 lanes to turn left onto NC-16 N/Providence Rd, Right on McKee Rd, Right on Davis Dr, Right on Wilson Dr, Left on Medoc Mountain Dr, Right at the 1st cross street on Gatesville Lane. Description: This 3 bedroom 1 bath ranch home has a large kitchen that includes appliances, and breakfast area. Covered back porch overlooks large fenced yard. Convenient access to the Airport and Hwy 74 into Uptown. East on Hwy 74 from the Airport toward Uptown, Left on Alleghany, Left on McKinley, Right onto Danforth. Description: Quaint 3 bedroom 2 bath ranch style home in the Oak Forest neighborhood. Built in bookshelf in living room. Open kitchen includes appliances. Sliding patio door leads to private back yard. Convenient to Concord. Description: Union County schools!! This five bedroom, three bath home features a downstairs bedroom and full bath (hard to find and great for visitors!). Open floorplan with a huge great room complete with fireplace. Awesome kitchen with 42-inch cabinets, pantry, breakfast area, gas range/oven and refrigerator included. Formal dining room with wainscoting and tray ceiling. Master Suite is located upstairs with tray ceiling, HUGE walk-in closet, two separate vanities in bathroom, soaking tub and step-in shower. Three additional bedrooms upstairs and secondary bath with dual vanity. Treed backyard for privacy. Two car garage. Washer/dryer included! Toll road. Take the exit toward Unionville - Indian Trail Rd W.Turn left onto Unionville - Indian Trail Rd W. Turn left onto Poplin Rd. Turn left onto Potomac Rd .Turn right onto Terrapin St. Description: Nice 3 bedroom 2.5 bath home with LOFT! This home boasts a large great room with dining area. Inviting kitchen has breakfast area with ALL appliances included. 2-car garage! Community features two pools, tennis courts, a fitness center, AND clubhouse with splash pad!! THIS IS A MUST SEE!!! Located on a cul-de-sac lot. Convenient to Concord. I-85 N to exit 45-A/WT Harris Blvd, Left on Rocky River Rd, Left on Back Creek Church Rd, Right on Caldwell Rd, Left on Wilgrove Way Dr, Left on Anne Browers Rd, Right onto Linsbury Court. Description: Inviting 4 bedroom 2.5 bath home. Spacious living room with fireplace and lots of natural light. Kitchen has large center island and features ALL appliances including dishwasher. Separate dining area in kitchen and separate dining room located off living room. Laundry room located downstairs. Master bathroom has separate shower and garden tub. Lots of extras featured in this home. Description: Lovely 3 bedroom, 1.5 bath single family located in the Montclaire neighborhood. This home features hardwoods throughout and an abundance of natural light. Separate dining room w/ bay window overlooking private fully fenced back yard. Kitchen has all NEW appliances.Washer and Dryer included. Storage shed.This is a must see!! Start out going north on Westport Rd toward Scott Futrell Dr. Turn left onto Scott Futrell Dr. Turn left onto Billy Graham Pkwy. Billy Graham Pkwy becomes W Woodlawn Rd. Turn right onto South Blvd. Turn left onto Archdale Dr. Turn left onto Shady View Dr. Take the 1st left onto Brookhaven Rd. Description: END UNIT!! Nice 2 Bedroom 2 bath condo. This unit features inviting living area, with separate dining area. NEW CARPET! Spacious bedroom with double closets! Ceiling fans in both bedrooms. Private back patio. Convenient to UNCC. Washer and dryer included!! Description: Cute as a button, end unit townhome available now in Ballantyne area's McCarley Community. Right across the street from restaurants, shopping, fitness center, grocery and more (including a Dunkin Donuts!). Gorgeous hardwoods through the main level, open floorplan and huge great room. Kitchen has 42-inch cabinets, gas range/oven, stainless steel appliances, TWO pantries, breakfast bar and dining area. Master bedroom upstairs with tray ceiling, big walk-in closet, vanity area in bathroom, tiled shower and soaking tub with tile detail. Large secondary bedrooms with ample closet space. Convenient, upstairs laundry room with linen closet. Two car attached garage, patio and flat backyard. Refrigerator and washer/dryer included. Merge onto I-85 S.Take exit 30A toward Interstate 485 Outer S/Interstate 77 S/Pineville. Keep left at the fork to continue toward I-485 Outer. Keep left, follow signs for Interstate 485 Outer S/Interstate 77 S and merge onto I-485 Outer. Take exit 61 for US 521/Johnston Rd. Turn right onto US-521 S/Johnston Rd. Continue straight to stay on US-521 S/Johnston Rd. Continue to follow US-521 S. Turn right onto Copper Mountain Blvd. Turn left onto Alice McGinn Drive. Turn left onto Elizabeth Madison Court. Destination will be on the left. Description: This 1 bedroom, 2 bath apartment features a bonus room & beautiful hardwood floors. 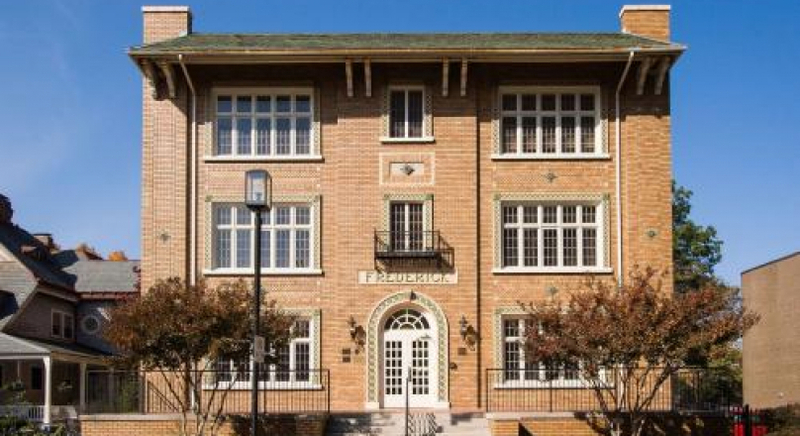 Located in the much sought after Historic Frederick Building located in Uptown Charlotte! Rent includes: garbage and parking. Gated Access!! Description: Nice 3 bedroom 1.5 bath home. This home has arch walkways throughout. It also features a spacious backyard. Description: Charming 3 Bedroom, 2 Bath ranch-style home convenient to W.T. Harris Boulevard. Living areas feature open floor plan that opens onto a large back deck overlooking a huge backyard. Kitchen includes appliances and tile floors. Gorgeous laminate wood flooring in living room and dining area. Outdoor utility closet for extra storage. Description: This 2 bedroom, 1 bath condo is located in Historic Fourth Ward in Uptown Charlotte at the highly sought after Springfield Square Condominium Complex. Open, spacious floor plan with an abundance of closet space in each bedroom. Large windows in kitchen, living room, dining room, and bedrooms providing an abundance of natural light. All appliances included. Community Pool. Water and trash included. 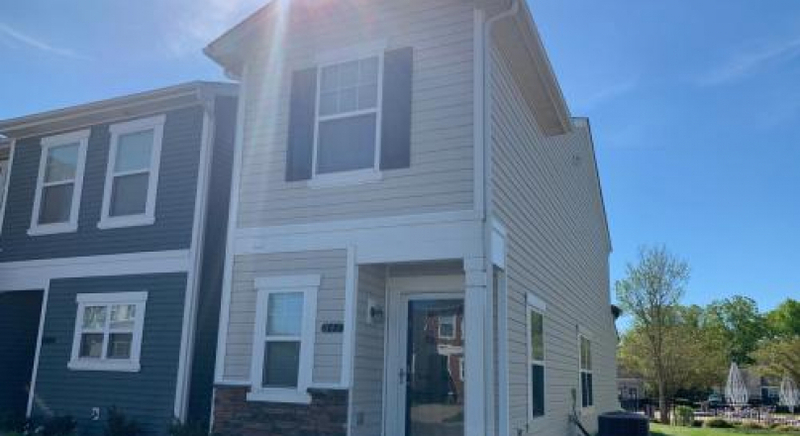 This beautiful condo is minutes from the Bank of America Stadium, BB&T Ballpark, Harris Teeter grocery store, CATS Light Rail, and Charlotte's downtown business district. Enjoy many walking trails, decorative fountains, and nature preserve at Fourth Ward Park adjacent to the community. Take advantage of easy access to I-77, I-85, and I-277. Left on Scott Futrell Drive. Right on to Billy Graham. Merge right onto I-85 Notrth. Take exit 36- Brookshire Freeway. Take Graham Street exit. Left on to Graham Street. Left on W 7th Street, Left on W 8th Street. Cozy 2 bedroom 1.5 bath townhome located in the Candlewood Townhome Community. Open floor plan. Kitchen has lots of cabinets, counter space and includes all appliances. Brand new carpets upstairs! Community pool! Enclosed private patio great for entertaining.Pets conditional. Description: 3 bedroom 1.5 bath ranch style home. Kitchen has lots of cabinet space & includes all appliances. Washer/Dryer connection. Convenient to Plaza/Midwood.